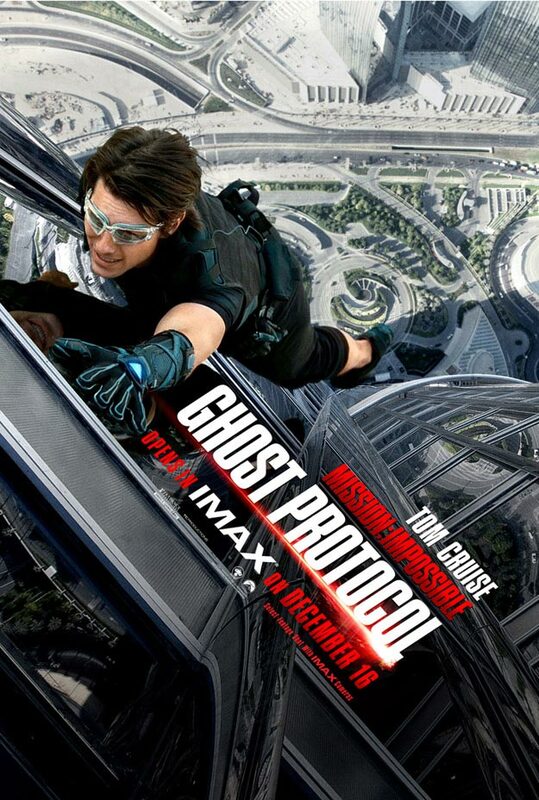 The Truth Train team viewed a full length sneak preview of Mission: Impossible – Ghost Protocol last night in IMAX. If we were paying, this isn’t the type of movie we’d normally consider laying down the extra cash to see in an IMAX theater, but we found that the grand scenes and special effects in the movie were really boosted by the immersive IMAX experience. Overall, the movie surpassed our expectations. We managed to make it through with more genuine LOLs than eye rolls, which was unexpected for such a big budget action movie. The international locations were interesting and well integrated into the plot. Simon Pegg’s performance was another highlight of the movie. Overall, the film felt like a summer blockbuster that didn’t arrive until the middle of winter, but in a fashionably late way. Your mission this holiday season, should you choose to accept it, is to subdue your relatives with egg nog, sneak past them in tight black clothing, and rappel to your nearest theater to check out this movie. Regarding plot plausibility, only one nagging question remains. With today’s technology, how can a high-speed dash in an electric car not come to an anti-climactic end because of dead batteries? This entry was posted in Entertainment and tagged Action, BMW, Ghost, IMAX, Impossible, Lens Flare, Mission, Movie, Protocol, review, Scientology, Tom Cruise. Bookmark the permalink.